Living room furniture - wall "Victoria" from the furniture factory "Mizan". The body is made of high quality chipboard 16 mm. The facades of the wall are made of film MDF, which has the widest choice of colors. Body colors: milky white oak, sonoma oak light, oak sonoma truffle, wenge dark, walnut, alder, apple tree. Harmoniously fit into the interior of the living room, create a home comfort and give a good mood. 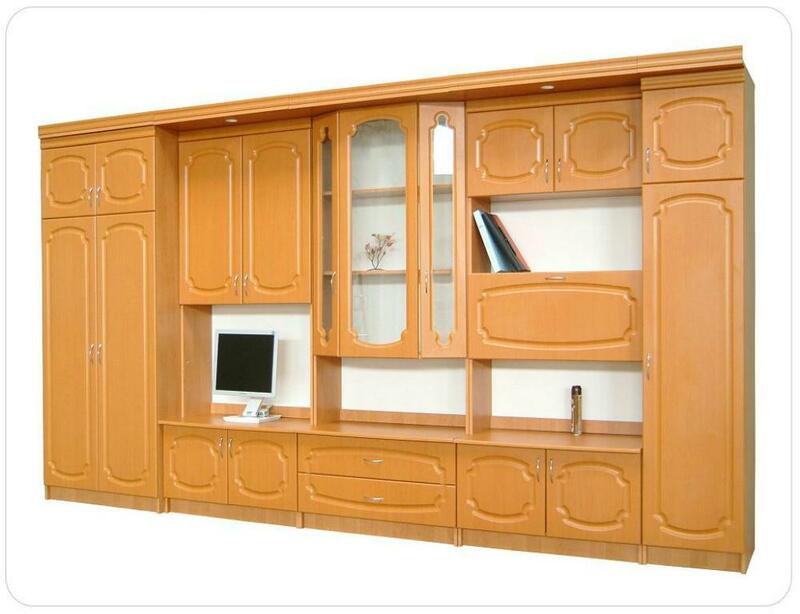 Furniture set "Victoria" consists of a wardrobe, section RTV, shop window, bar.